"Driver A.J. 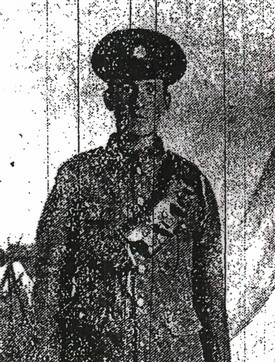 Maltby, whose parents reside in Ladycroft Avenue, Hucknall, was one of the earliest recruits, joining the Army Service Corps, and, in the capacity of driver, was quickly despatched to France. He is at present suffering from bronchitus in hospital. He thanks the townspeople for his Christmas gift"
This page was added by Website Administrator on 30/10/2014.